Designer You by Sarahlyn Bruck is a moving story of love, loss and new beginnings. Pam makes it through college without any real plans for the future—until she meets Nate. He then becomes her plan. He is the consummate DIY guy and Pam runs the marketing and blogging aspects of their business. Nate dies suddenly in a fall from their roof, and Pam is forced to assume responsibility for their entire business while being a single mother to their daughter Grace. 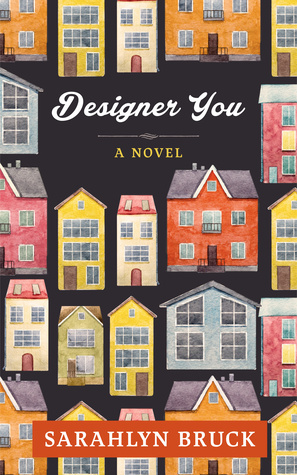 Designer You is told with raw emotion and honesty, and the author handles the issues of grief with compassion. The Philadelphia setting is quite accurate and “real” feeling to this former Philadelphia resident. Pam and Grace learn their new roles in life without husband and father, and their journey is revealed in candid, gut-wrenching honesty—it’s not easy to recreate their life together. The ending felt a tad rushed; I would have liked to see more of Pam and Grace growing together rather than have the novel end with a whirlwind. Sign into Goodreads to see if any of your friends have read Designer You.